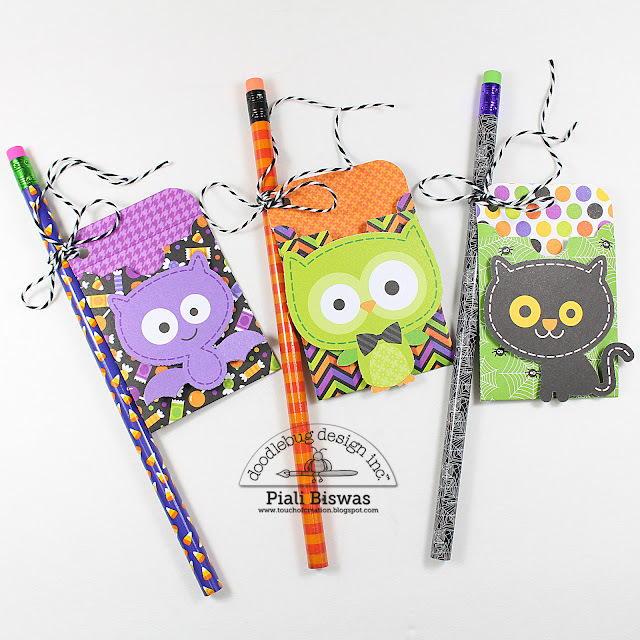 Piali here, today I have some fun Halloween themed projects to share with you all. Your projects are so much fun, Piali! Love them!!! So exciting!! Love the inspiration. Oh My Goodness what an array of Wicked awesome creations. You so did a super Faboolous creative job. I am totally in awe of everything you did as you came up with so many clever ideas for ways to use all the adorable images and embellishments. WOW!! YOU ROCK!! These are fabulous!!! The pencil idea is genius! These are so cute - and very clever pencil idea!! In fact I love all the ideas! Thanks for the inspiration! Oh so cute!!! Thanks for sharing! Very cute projects. Love them.